It seems like only yesterday, people were freaking out over what they perceived to be a lack of marketing for one of this year's most anticipated movies, Wonder Woman. Since that outcry almost two weeks ago, Warner Bros has released numerous trailers, co-star Chris Pine hosted SNL, Danica Patrick raced in a car emblazoned with Wonder Woman imagery, and more importantly, the embargo on critics' reactions was lifted giving way to extremely positive reviews. This latest sneak peek comes exclusively from IGN, a film clip where Wonder Woman (Gal Gadot) goes toe-to-toe with the villain Ludendorff (Danny Huston). 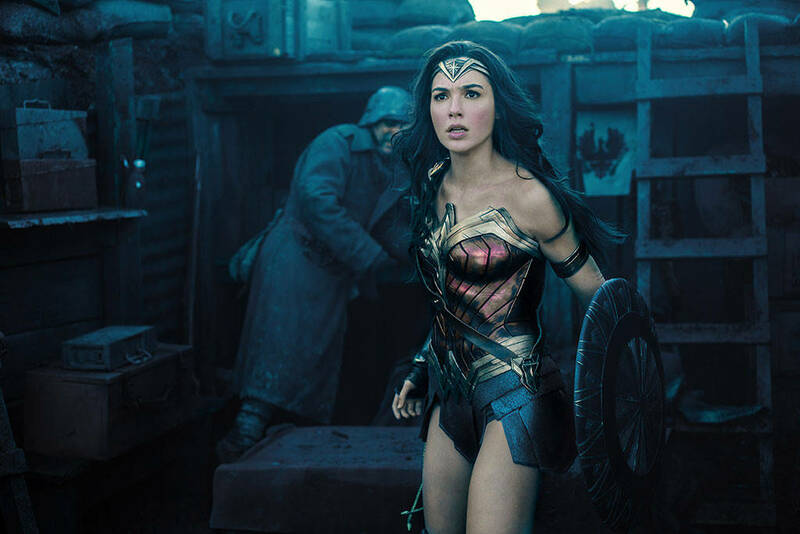 The action-packed sequence is indicative of the praises critics have showered on the film saying the stylized fight scenes are awe-inspiring and heaping a ton of love for director Patty Jenkins and star Gal Gadot. It's been hailed as the best DCEU film yet calling it "well-written" and "full of hope and humor." See the exciting clip below.